There’s a lot to say about this generation’s LEGO-games. Colored building blocks have invaded pretty much every big movie-license from the past decade that mattered. They’ve thwarted the Joker’s schemes with a well-placed batarang, gone on a leisurely cruise in the Caribbean and even studied magic for dummies at Hogwarth’s. 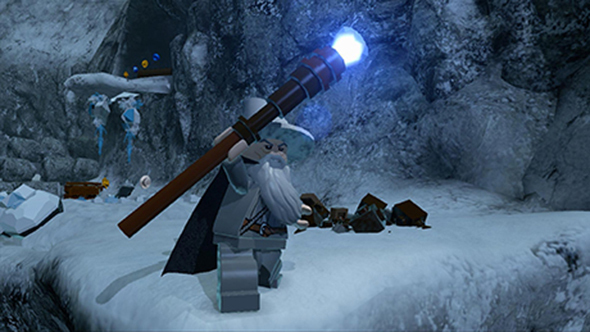 But none of these adventures were as grand and as epic as LEGO: The Lord of the Rings. Once upon a time a small creature found a magical ring. Not a human, nor a dwarf, but a hobbit. The gentle hobbit kept the ring and it granted him a long, prosperous and, very much against his will, adventurous life. Yet the hobbit still grew old and he wished to retire, to live out the rest of his days in the quit and tranquil elven lands. So he held a grand party, passed the ring to his nephew, a hobbit by the name of Frodo, and set out on his last adventure. But somewhere the old hobbit knew that roads go ever on and on. And so they did, at least for Frodo Baggins. The rest is pretty much modern cultural heritage. Just try to find someone who hasn’t seen or at least heard about the The Lord of the Rings-trilogy. With good reason, because although this story features almost every fantasy trope that has ever existed, it manages to pass them off as believable. Result: one epic journey that has risen to the top of every popularity poll and which has now been adapted as a LEGO-game. This makes for an abridged version of the movie. Every important scene has been included, spiced up with the usual LEGO-humor, but connoisseurs of the movies will easily spot which lines have been shortened. 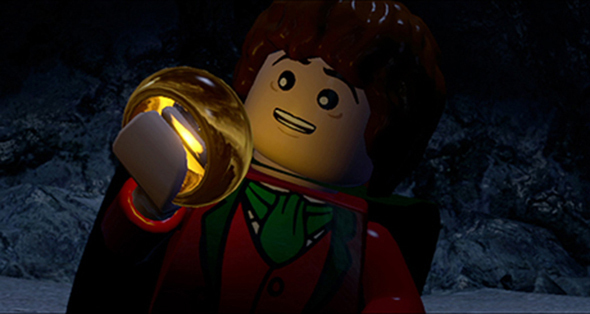 While the tagged on jokes can be hot or miss, LEGO: The Lord of the Rings manages to make a great tribute to the original storyline. Being a decent ode to the source material holds true in the graphical department as well. Middle Earth might feel smaller compared to the scenes of vast fields seen in the movies (particularly in The Two Towers), this is still the best looking franchise-turned-LEGO-game to date. Bree looks exactly how you’d expect a bordertown on the edge of civilization to look: rough around the edges, dark and a perfect hiding spot for the more unsavory type of adventurer. As a matter of fact, the entire game perfectly reflects our own image of Middle Earth. It’s a world in the middle of conflict, yet one in which its inhabitants have yet to lose all hope. Sure the scenery disappears from view rather soon, blurring out much of the horizon. But if this is the turn off for an otherwise atmospheric game, we’re more than happy to ignore it. While writing this, the game’s disc is still spinning gently, Frodo enjoying his time off in his uncle’s house, back in The Shire. All so we’d be able to listen to that gentle, carefree tune again. You know, the by Howard Shore masterfully composed score, accompanied by the sound of festivities and drunk hobbits. Almost every tune that was present in the movie-trilogy has been adapted in-game. For those of you who still haven’t seen it (stop reading and go do so now): that’s a good thing. What’s also been taken from the films: voices. Yup, you heard it right, the cartoonish LEGO-puppets sound exactly like their movie counterparts. It makes the story more coherent, something that previous LEGO-entries were obviously struggling with. Let’s start off with everything that hasn’t changed compared to the other LEGO-games. You’re still collecting bricks and plans to unlock more characters and abilities. It’s a collecting spree, the same thing we’ve come to expect and adore over the past few years. Just like in LEGO Batman 2 you’re cast into an open world. Strolling uninterrupted from Hobbiton, through the Mines of Moria and all the way into Mordor is no longer an unreachable dream. What’s new compared the older LEGO-games, is the viewing angle. Abandoning the bird’s view, LEGO: The Lord of the Rings has adapted a proper third person view. We’d like to applaud the executive or designer who proposed this change, because a smarter and more fitting move couldn’t have been made. The world effectively feels larger because of it, turning the adventure into something more than just another popular-franchise-turned-brick. Developer Traveller’s Tales is slowly approaching the LEGO-series from a more metroidvania-like angle. 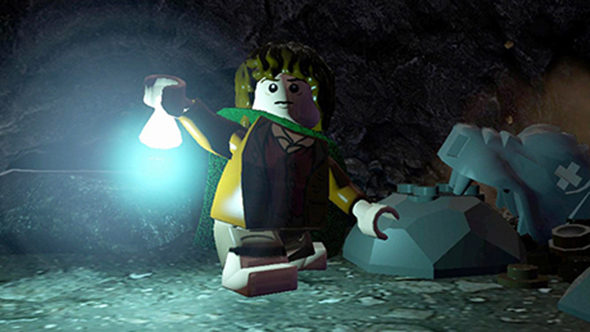 In fact, LEGO: The Lord of the Rings has you collecting many items and power ups that let you open up new areas. Another smart move, because it spices things up, if only because many of the trinkets Frodo and his fellowship receive on their journey are perfect fits for upgrades in a video game. Light of Earendil anyone? 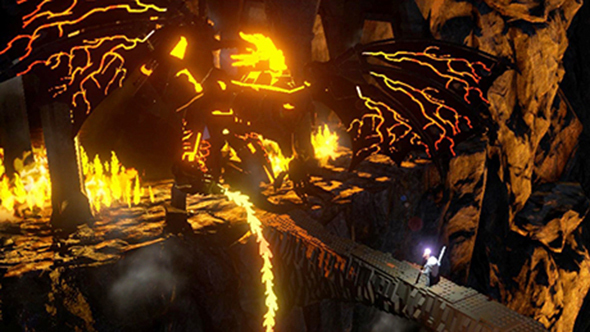 The same can be said about the boss battles, which have been turned into giant puzzles where a group of characters will have to rely on all their abilities to emerge victorious. Except for Gandalf of course, he manages to defeat a gigantic, flaming Balrog singlehandedly. Because you know, he’s Gandalf. 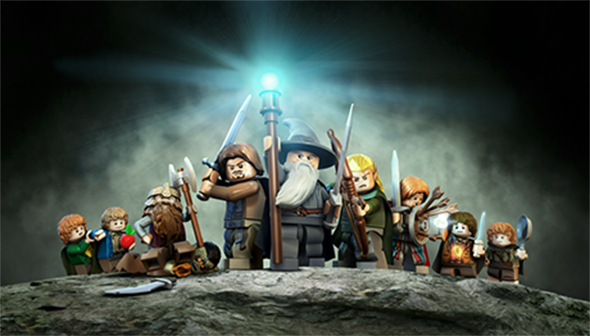 LEGO: The Lord of the Rings marks something of a new direction for the series. It’s as if the LEGO-games are finally maturing after a rough sixteen-titles-long puberty. Any fan of this story about a courageous hobbit with an unwavering will, will most certainly be charmed by this adaption. If nothing else, it’s also the perfect entry for a new generation of future ‘lotr’ –fans. How far ahead the road has gone.